The International Coastal Cleanup I volunteered for got cancelled but as evidenced in my Instagram feed, my Saturday was still pretty happening. 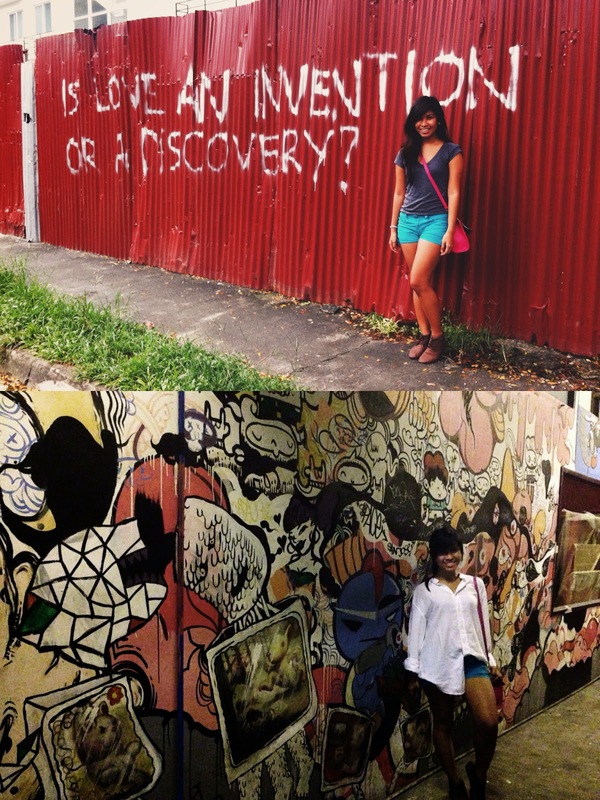 I spent the day taking snapshots of graffiti in UP Diliman, and the night hopping around bars in Makati. The latter was impromptu. I wanted to buy a ready to wear outfit in Trinoma but my friend, Kriz, wouldn't let me spend. He had enough foresight to bring a polo shirt with him in case we end up clubbing. And since we weren't, he let me wear that instead. I love having friends who can go with spur of the moment whims. Thank you for making my 20s what I never imagined it would be--this fun.